Granola parfait has the perfect components to start the day: the crunch of the granola, the creaminess of the yogurt and the sweetness of the fruits. Most important, this will keep you full until lunch time. I've been married for almost five years, and I think that cooking is the best way to say 'I love you'. It might sound sappy but I love seeing my hubby's smile in the morning when I bring him breakfast in bed. Make this for someone special in your life, and I guarantee they will appreciate it. Wash the cherries. Stem them. Cut them in half and remove the pit. Gather all the cherries in a bowl. Sprinkle with sugar. Add a teaspoon of finely chopped mint. Toss the cherries to ensure all the cherries are coated with sugar. Some juice will form at the bottom of the bowl. Toss occasionally. Let stand for at least 15 minutes. In another bowl, repeat the same procedure with the blackberries. In a separate bowl, combine the yogurt, crème fraîche and the condensed milk together. In a mortar and pestle or using a rolling pin, coarsely crumble the granola. I usually serve granola parfaits in clear tall glasses so that you can still see each layer. The size of the glass depends on the appetite of the eater! Be organized. Line up the glasses. Spoon about 2 tablespoons of cherries into each glass. Create an even layer. Create another layer with about 2 tablespoons of yogurt over the cherries. Smooth the surface, then sprinkle about a tablespoon of granola. Repeat the same layers until you reach the top of the glass. Finish with yogurt. Top with a few blackberries and a teaspoon of granola. Garnish with a small mint leaf and dust with powdered sugar. 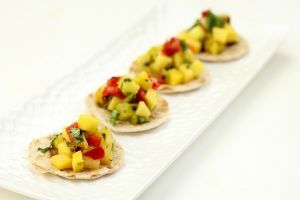 Serve with a cup of Vietnamese coffee, masala chai or green tea. 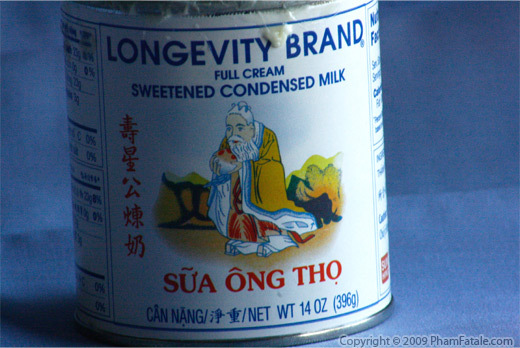 I use the Longevity Brand sweetened condensed milk, the one with the picture of a long, white bearded old man. You can easily find it in Asian stores; well at least it's very easy to find it in California. You can also make your own yogurt; check the recipe here. The weather is much warmer now and you can get a firm result overnight. Crème fraîche is the French version of sour cream. It has a very nice tangy taste and richer mouth feel. I think it brings a much thicker consistency to the granola parfait but you can omit it if you're health-conscious. I get it from my local market. If you cannot find it, you can substitute regular sour cream or make your own at a low cost. Place a tablespoon of buttermilk and one cup of heavy cream in a small saucepan. Heat to 110°F. Transfer to a glass jar, cover with a cheesecloth and set it aside in a warm place for a whole day. The mixture will have a thicker consistency. Stored it the refrigerator, you can keep it for up to 2 weeks. Check out my other drink recipes to pair the granola parfait with and other breakfast ideas. UPDATE: I've received some questions about replacing the sweetened condensed milk with agave nectar. I think that should work fine in terms of sweetness, but condensed milk also helps create a thicker consistency in the entire parfait, which any other sweetener will not be able to do. You don't want a runny product because the granola will absorb too much of the liquid and get soggy. You can use your favorite granola. The specific variety really does not matter. 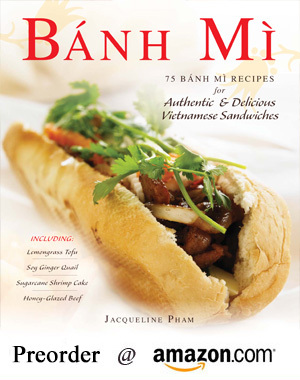 Published By: Jacqueline Pham on June 1, 2009. Yesss! I looovvvveee granola-yogurt parfaits, they're one of my favorite breakfast items. This is so tasty and so easy to make. It did not have any berries so I used bananas, chocolate chips and caramel syrup. I know, it's totally unhealthy but it was so worth it. I agree with you, the most pleasurable thing about cooking, is not eating the product yourself, but watching a loved one enjoy it. Nothing makes me happier than seeing smiling faces and tummies being rubbed after tasting soemthing I made! This parfait looks delicious and the perfect start to a lovely summer day! I'm new to your blog and I've really enjoyed it, I just poked around quickly because I'm at work, but I'll come back and take my time browsing through your wordly recipes. I'm always on the look-out for tasty Indian dishes! I had no granola in my pantry so I used raisin-bran cereals. I added some canned peach slices. I really enjoy the light snack. Thanks for sharing! How delicious, Your parfait sound perfect. Love the addition of condense milk in there. 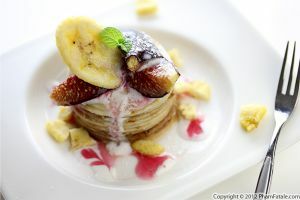 this looks great but the crepes have my heart! Oh, I love the addition of the condensed milk...Asians put that in everything! It really changes things up...no subs for me! What a delicious and refreshing parfait! I love the cherries here! Very nice! Wonderful! Breakfast I LOVE Yogurt and your looks delcious. Mais ceci à l'air tout à fait délicieux. Merci de ta visite sur mon blog.